Here at The Pipe Surgeon, we understand the confusion, hesitation, and nervousness that can come along with recognizing that there is a problem, unknown and unseen, inside your home. 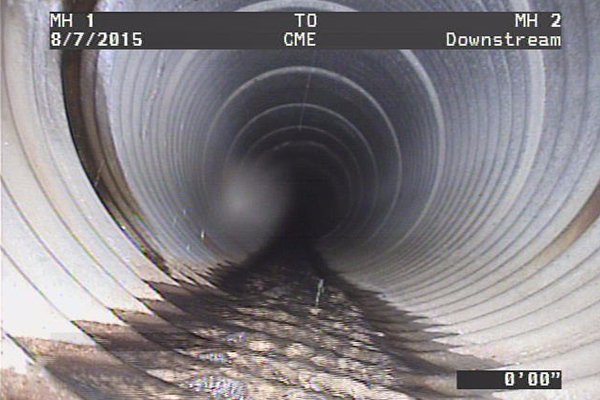 These problems are usually inside your pipes. That’s why we offer camera inspections. Camera inspections are truly beneficial and cost very little to complete. A camera inspection is when a plumbing technician comes to your home and hooks up a live-feed camera to a pole and inserts into your pipes after emptying them of all water and waste. Those pipes are then inspected. All audio and visual data gained from the inspection are copied onto a DVD or external hard-drive- one copy for the plumbing company, one copy for you. A next step can then be chosen as to how to resolve your problem, whether it be a drain cleaning, a sewer repair, or a replacement of sorts. The awesome thing about camera inspections is that there are literally no downsides. Even if you have nothing wrong with your pipes- then there’s nothing wrong with your pipes, you have proof of that, you record the date, and when you suspect there’s something wrong, you share that data with your plumbing company. You know what to expect with a camera inspection. Going in blind, you don’t know what you’re going to get- a clog, a leak, a break, a collapse. Corrosion, erosion, and even pipe repairs and replacements may be necessary. Camera inspections can save you hundreds of dollars and hundreds of hours spent worrying and wondering. The Pipe Surgeon prides ourselves on our ability to fully service many areas, including West Palm Beach, Florida. We also service the St. Lucie, Indian River, and Martin counties, along with Miami-Dade and Palm Beach. We promise to provide you with the services you need with integrity, excellence, and responsiveness. We offer home estimates, and our hours are flexible. We truly want to work with you, and for you, to create a solution that works for you. We service a variety of industries, including residential, commercial, and industrial- no matter who you are, you fit under our umbrella and deserve the best services out there. We offer trenchless technologies, which are state-of-the-art and we have the highest-grade equipment that anyone can offer. Call us today at (866) 261-9728 for your camera inspection in West Palm Beach.